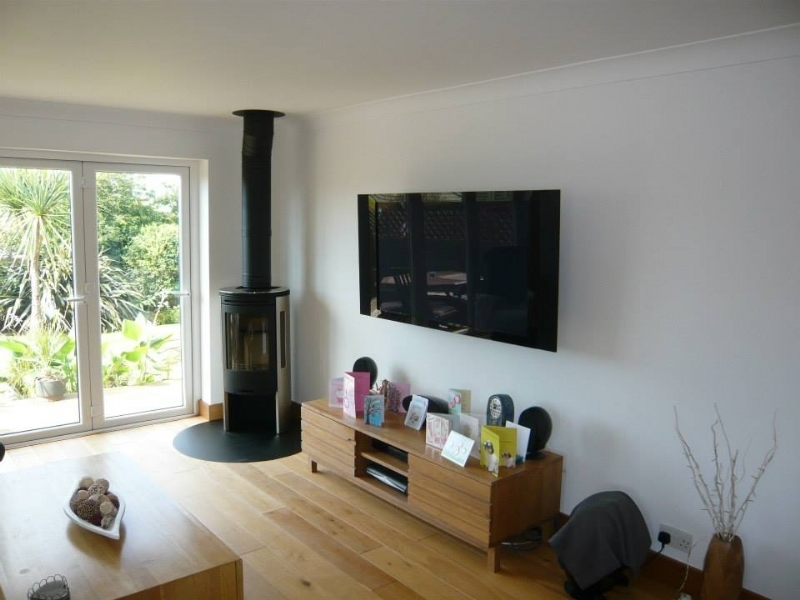 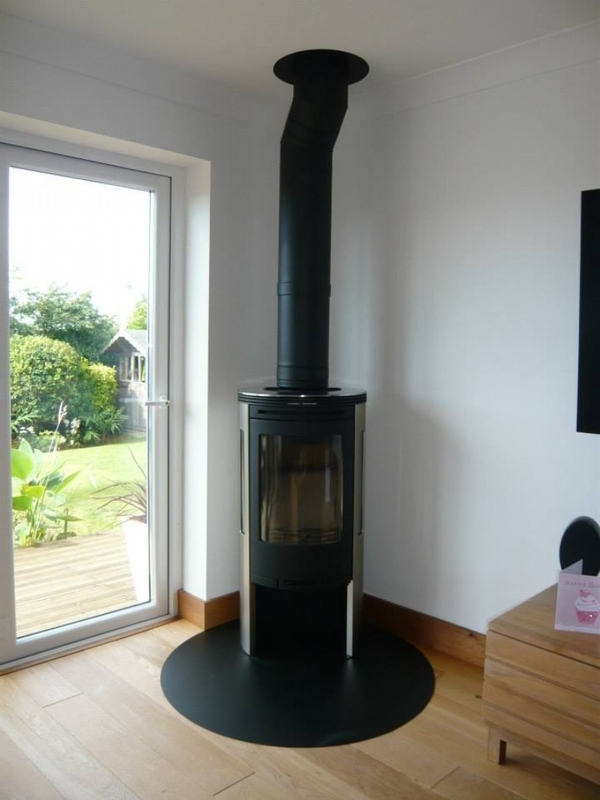 Contura 655 wood burning stove installation from Kernow Fires. 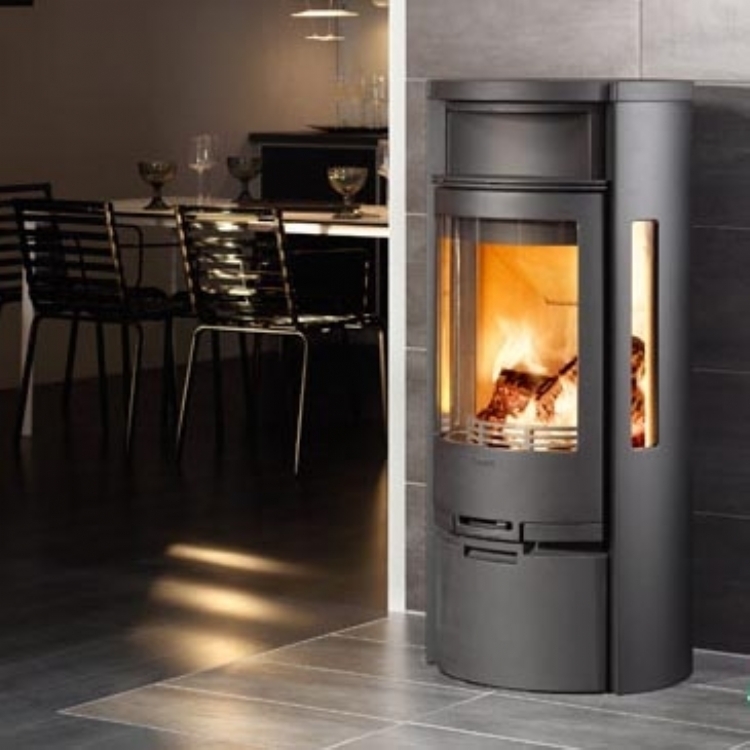 Customer Requirements: Required area for the stove is slightly awkward. 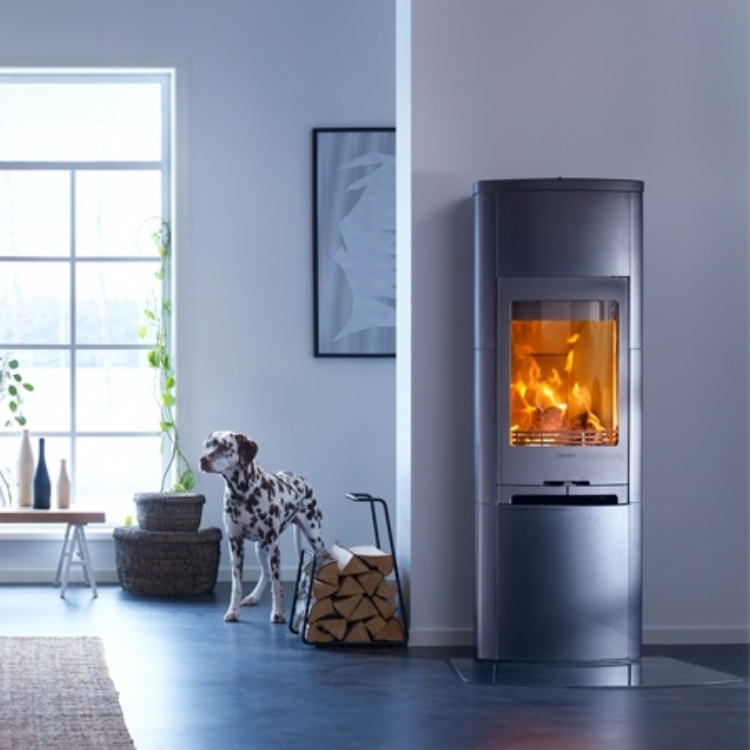 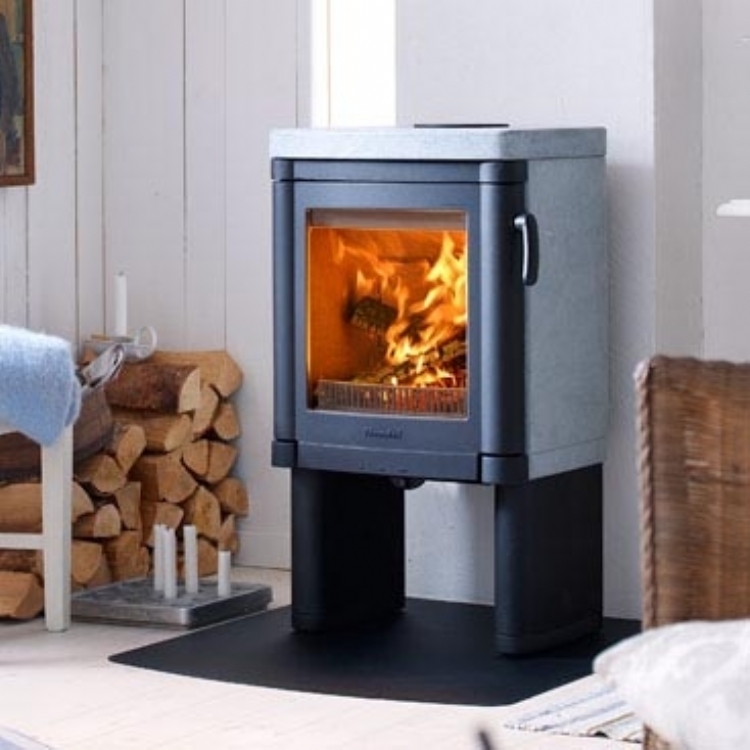 The position of the stove within the room wasn't awkward from the point of view of where it looks nicest- it looks great in this position, but it did mean that to be able to get a good run on the flue we had to add a bend into the flue within the room which we always try avoid, however the Contura 655 with it's reflective side panels looks amazing and our bespoke circular hearth finishes it perfectly.